Buy AC motor onion strip/slice cutter machine/machinery sale - Jinan Joysun Machinery Co., Ltd. 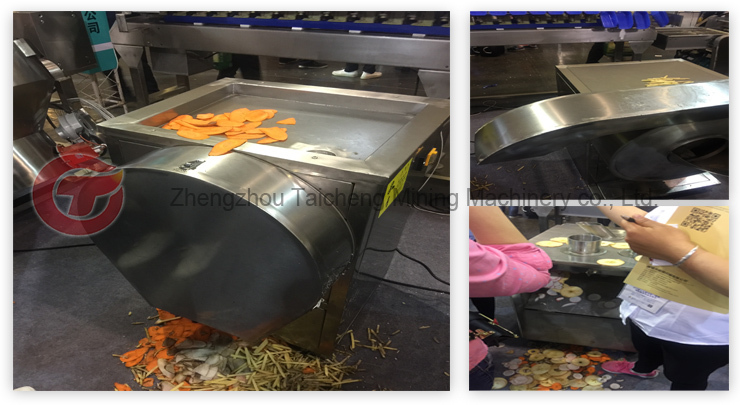 This device is at the request of the customers, after many experiments and improvements, developed multi-functional vegetable cutter.This machine is small in size, high efficiency, simple structure, is not easy to damage.Safe operation simple and convenient, is the ideal shred, slice machine.The machine cylinder part selects the stainless steel material production, clean health.Durable, suitable for medium and small dining room, restaurant, hotel, hotel use. 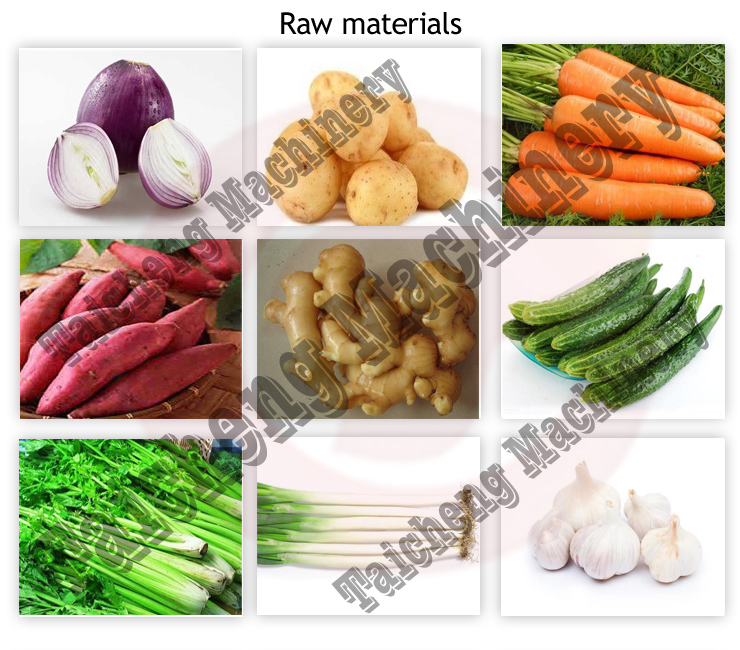 1 This machine can cut vegetable like spinach, leek, celery, cabbage and water convolvulus, cucumber, melons turnip, potato chips, balsam pear, shredded radish, potatoes or fish meat. 2 By installing different blade, it can also be used to cut root vegetables into strips or pieces, such as bamboo shoots, turnip, and potato. 3 It’s high efficient and can work with automatic production line. 4 This machine also fits the user in kitchen of restaurant and school, vegetable retailer and food processing factory etc. 5. Cutting surface is smooth, tidy and with good condition, keeping hand-cutting effect. 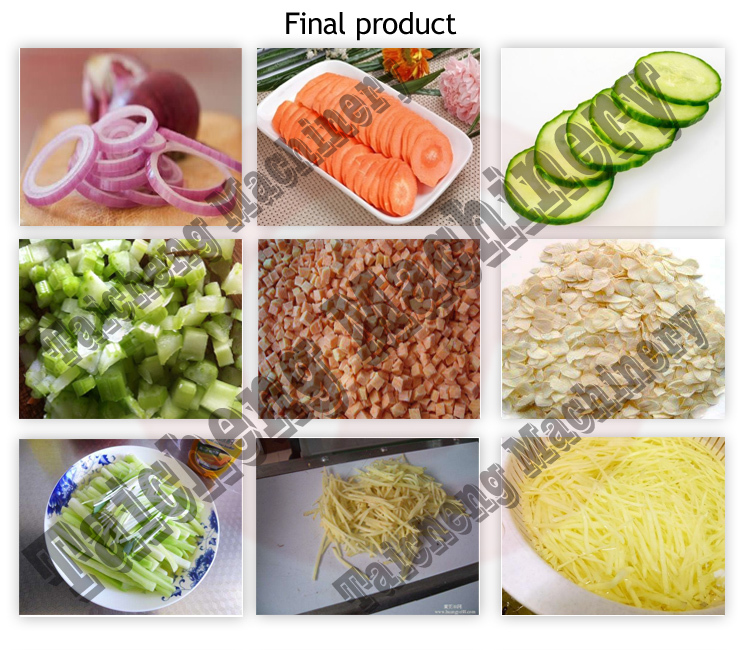 6. shape : The finished shape can be slice , strip , block, cube ,sect and so on , widely used in restraunt , small vegetable company, and other food industry ! whole machine is made of stainless steel ! certain range. The part of vertical knife can cut soft dish or the pieces after cutting into block, butyl, diamond, etc in different specifications. Vegetables length can be adjusted arbitrarily through "adjustable eccentric wheel" within a certain range .And because it imitate the principle of hand cutting, the surface is smooth, forming rules, vegetables organization after cutter are in good condition and keep it fresh.